departure and breathes through her parted lips. 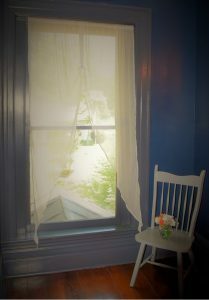 Photographer’s Note: I visualize a country girl as she sits in the chair in her bedroom, looking out the cotton curtained window with a sense of either longing or regret. You have to imagine it, he said, everything halved. when I found out: What else didn’t I know? this coin of trust we must both earn back. Photographer’s Note: This photo most literally represents the last two lines of the poem. 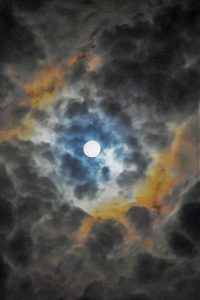 But it also encompasses the mood of cloudy confusion, the dizzying effect of imagination and reality swirling together, in an attempt to find light at the end of a long tunnel. Tania Pryputniewicz is the author of November Butterfly (Saddle Road Press, 2014). Recent poems appeared or are forthcoming in Chiron Review, Journal of Applied Poetics, Light: A Journal of Photography and Poetry, Nimrod International Journal, Prime Number Magazine, San Diego Poetry Annual, San Pedro River Review, Silver Birch Press, and Whale Road Review. She teaches poetry at San Diego Writers, Ink and lives in Coronado, California with her husband, three children, one blue-eyed Husky and Luna the formerly feral cat.